Ascending Butterfly: Today's Words of Inspiration - What causes you to lose hope? 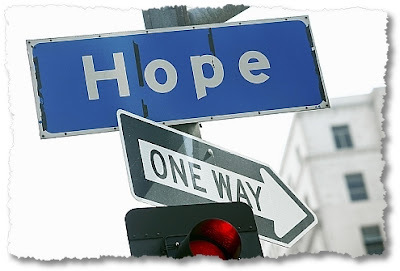 Today's Words of Inspiration - What causes you to lose hope? Today's Challenge: Bounce Back! Many of our days are frought with disappointments, but they don't have to dis-illusion us completely! Today's Breathing Affirmation: Close your eyes, take a deep, slow breath in through your nose, and affirm "I will not lose hope." What causes you to lose hope?